Special Sessions have the purpose of introducing the ISMB community to relevant 'hot' topics that were not covered in previous meetings or that had gone through fast evolution in recent years. It can be considered as a mini-symposium on a frontier of timely topic, presented by top experts. A wide range of topics is possible, as long as they importantly influence computational biology and bioinformatics. We also encourage topics that are marginal to computational biology but clearly will need the involvement of such expertise in the near future. The proposed topics for SST might, for example, cover emerging themes that ISMB is not currently approaching with the desired proficiency. Some attractive topics include "Analysis on a single molecule level"; "A computational view of 3D-chromatin "; "Optogenetics – live imaging of the brain"; "the Microbiome and Virome"; “Ancient DNA-human evolution”. "Circuits and reprogramming in biological systems" and more. In addition we would like to encourage submission that deal with the Society-Computational Biology interface including open issues. Examples might be “Stem cells and ethics”; “Matrices for success and impact”, "Medical parctice meets social sciences". "the advanced in brain connectome". We encourage you to submit a proposal on an area that you deem as important to the computational biology community and may impact the future of the field. This call is an invitation for scientists and professionals to submit proposals for special sessions for ISMB 2016, to take place at the Swan and Dolphin Hotel, Orland, United States, July 10 - 12. Special Session organizers can offer invited speakers (maximum of four (4) per Special Session) one-day complimentary registration for those attending ISMB 2016 for the sole purpose of presenting within the Special Session. We encourage the organizers to approach experts from related fields and communities that are not necessarily attending ISMB routinely. Special sessions run the same schedule as all other parallel tracks. They MUST be designed as half-day sessions (2 hours) and synchronized with other tracks. The regular presentation unit is 20 minutes consisting of 18 minute talk and discussion + 2 minutes for movement between parallel tracks (3 x 20 minute slots per session). Sessions may include any form of presentation such as talks or panel discussions. Preference will be given to emerging fields and to related fields in which the ISMB community needs to acquire higher proficiency. Special sessions are expected to provide a broad perspective on an emerging research field. Sessions will be selected from the submissions to this open call. Potential fields of interest include metabolomics, epigenetics and imaging. Additional topics of particular interest to the ISMB community are welcome. Proposals for special sessions should be submitted via the online submission system here prior to December 4, 2015. 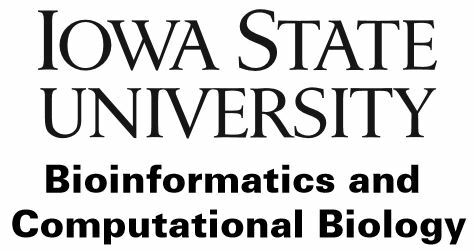 Submissions must include a one-page description of the field, its relevance to the ISMB community, and the reasons for planning a session on this topic at ISMB 2016. Submitters may want to briefly describe their qualification to organize the Special Session. These explanations could be followed by a list of topics for possible presentations with one-paragraph descriptions. Finally, a draft of the time schedule for the session should be presented. A finalized list of speaker names is not necessary but may add weight to the proposal. If you list invited speakers as "accepted", please make sure that they agree to speak given to the financial constraints describe below. Special Sessions are an integral part of the ISMB meeting. Special Sessions chairs and speakers MUST pay their expenses to the meeting. Therefore, the organizers highly encourage session organizers to seek independent funding, and to include any commitment that they may have secured in the proposal. ISMB will coordinate the administrative aspects of room assignments, announcements and adding the detailed schedule to the conference program. Note that the ISMB cannot financially support the speakers or the Special Session organizers. Complementarity to the conference program provided by the other tracks. Completeness, clarity, and quality of the session proposal. Qualification of the submitter(s) to organize the workshop. Likely success of the proposed session. Overlap with other proposal or pre-selected activity. Submitters of successful session proposals will be notified of their provisional acceptance by December 18, 2015. A maximum of six sessions will be presented at ISMB 2015. Titles of presentation and speakers in each Special Session will be printed in the Conference program. Organizers of special sessions are encouraged to prepare abstracts or additional written material that can made available online at the beginning of the meeting. A complete version of the session schedule, including, names and affiliations of speakers, presentation titles and short abstract must be received by January 22, 2016, and the final acceptance decisions will be made by January 29, 2016. A final program with all times and speakers must be sent to the organizers for publication on the web and in the conference program booklet by May 6, 2016.